The District of Columbia Condominium Act contains a statutory warranty that protects condominium associations and their unit owner members from structural defects in newly constructed and newly converted condominiums. The warranty is backed by a condominium developer’s bond, letter of credit, or other form of security from which monies can be drawn upon if the developer fails to make warranty repairs. This article discusses how the warranty against structural defect works and how to make claims against the developer’s security to fund warranty repairs. Condominium developers in Washington DC are required by statute to warrant against structural defects in the condominium common elements and each condominium unit. District of Columbia Condominium Act (“DC Condo Act”) 42-1903.16(b). A “structural defect” covered by the warranty is broadly defined as: (i) “a defect in a component that constitutes any unit or portion of the common elements that reduces the stability or safety of the structure below standards commonly accepted in the real estate market, or restricts the normally intended use of all or part of the structure,” and (ii) “which requires repair, renovation, restoration, or replacement.” DC Condo Act 42-1903.16(a). The warranty period is the time period within which a structural defect must exist in order for the District of Columbia warranty against structural defects to apply. The warranty period for structural defects in an individual unit is two years from the date the developer conveys title to the purchaser of the unit in question. DC Condo Act § 42-1903.16(b). The warranty period for structural defects in the common elements is also two years and will typically run from the later of: (1) the date the developer conveys the first unit in the entire condominium; or (2) the date of the completion of the common element in question. DC Condo Act § 42-1903.16(b). The statute of limitations is the time period within which a legal claim must be brought in a court of law or it will be forever barred. The District of Columbia warranty against structural defects has a five-year statute of limitations running from the commencement of the applicable warranty period in question. DC Condo Act 42-1903.17. The warranty is breached whenever structural defects exist during the two (2) year Warranty Period. If the condominium developer is unwilling to or fails to perform its warranty obligations to repair or pay for the repair of structural defects, then a law suit must be filed within the five (5) year statute of limitations period (i.e., five years from the commencement of the warranty period) or the legal claim for breach of the warranty will be forever barred by the statute of limitations and cannot be asserted in court thereafter. The Warranty against structural defects applies to both newly constructed condominiums and older buildings (e.g., apartment buildings) that are converted into condominiums (“condominium conversions”). However, if a condominium developer offers the condominium conversion for sale in “as-is” condition, then the developer’s warranty will only apply to structural defects in the work it performs and materials it supplies in converting the existing building into a condominium, unless a more extensive warranty is provided in writing. DC Condo Act § 42-1903.16(c). Structural defects covered by the warranty are typically caused by defective construction (i.e., poor workmanship or use of faulty materials) that occurs when the condominium is being constructed. These construction defects are often concealed behind building exteriors and may cause increasing damage over time, remaining unnoticed until they finally manifest themselves months or years after purchase. Any hidden structural defect caused by defective workmanship in the original construction will, by definition, exist at the beginning of and, therefore, within the two (2) year warranty period. Even if the structural defects is not discovered until after the two (2) year warranty period has expired, suit can still be brought for breach of warranty as long as it can be shown that: (1) the structural defect existed within the two (2) year warranty period, and (2) suit is filed within the five (5) year statute of limitations. All condominium associations should have a construction deficiency study performed as soon as possible after the period of developer control ends so as to identify any such latent or otherwise hidden construction defects so that they can be brought to the developer’s attention well within the five year statute of limitations while the warranty against structural defects is still enforceable, and well within the applicable statute of limitations for other available construction defect legal claims which, depending on the circumstances, may have statute of limitations periods that are shorter or longer than the five (5) year statute of limitations applicable to the warranty against structural defects. Failure to file a lawsuit within the applicable statue limitations will result in structural warranty and other construction defect claims becoming forever barred. However, the running of the statute of limitations can be stopped (or “tolled”) by entering into a tolling agreement with the condominium developer and any other responsible parties. A “tolling agreement” is a private contract that courts will enforce under which the parties agree that the statute of limitations will stop running on an association’s or unit owner’s warranties and other legal claims for construction defects while they attempt to negotiate a resolution of their construction defect dispute (a “timeout”). The Tolling agreement allows the association or unit owner to negotiate the repair of structural defects and other construction deficiencies without having to file suit in order to preserve their legal claims. The Tolling agreement, however, will only stop the statute of limitation from running on construction defect claims against the parties to the agreement. The statute of limitations will keep running as to construction defect claims against those who are not a party to the tolling agreement. If the developer refuses to repair a structural defect covered by the warranty, a condominium association or unit owner may file a law suit in the Superior Court of the District of Columbia to enforce the warranty and seek damages for breach thereof. A claim may also be made with the District of Columbia to have the developer’s warranty security released so the funds can be used towards the cost of repairing the structural defect, a procedure discussed below. A condominium developer in Washington DC is required to post a bond, letter of credit or other form of security that can be drawn upon, if necessary, to satisfy any costs that arise from the developer’s failure or inability to fulfill its warranty obligations to repair structural defects. DC Condo Act 42-1903.16(e)(1). 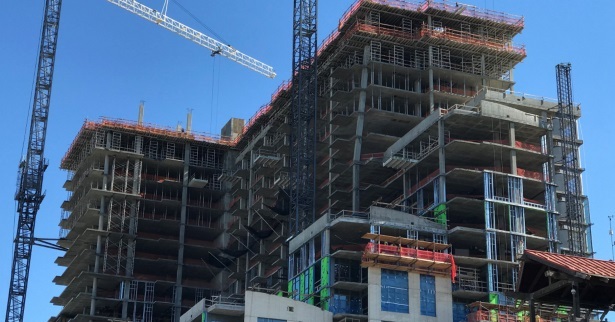 Before a condominium developer conveys any units to members of the public, the security must be posted in favor of the Mayor of the District of Columbia as beneficiary in the amount of 10% of the estimated construction or conversion costs. Most condominium developers use a letter of credit as the means of posting security for their warranty obligations. In these instances, a financial institution, for a fee, will agrees to make payment to the Mayor in the event the developer fails to repair covered structural defects. If the developer fails to correct structural defects in the common elements or individual units, a condominium association or unit owner can make a claim with the District of Columbia asking it to release the developer’s security to be used for the cost of repairing the structural defects. 1800 Martin Luther King, Jr. Avenue, S.E. See: How to File A Condominium Structural Warranty Defect Warranty Claim. The quoted policy says “ALL” of the above-quoted items must be submitted along with the signed letter making a formal structural defect warranty claim. This raises a question: What happens if a structural defect is not discovered in time to get an engineer’s report or cost estimate before the two-year warranty period expires? According to a conversations with an RCSD representatives, if a structural engineer’s report and repair cost estimates are not available at the time a formal written notice of the structural defect warranty claim is made with RCSD, that documentation can be provided at a later date so long as the signed letter making a formal structural defect warranty claim is given to RCSD within the applicable two year warranty period. Thus, although making a timely formal structural defect warranty claim with RCSD is sufficient to preserve a structural warranty claim and prevent any release of the developer’s security, the claimant must nonetheless “perfect” the claim by providing RCSD with other quoted items listed above in order to to seek access to repair funds from the developer’s security. Once a signed letter making a formal structural defect warranty claim is received by RCSD, the matter is assigned to a Rental Conversion Specialist. If, after receiving the pertinent documentation, RCSD determines that a condominium developer is unwilling to repair an alleged structural defect or denies a structural defect exists, then RCSD will have its own structural engineer evaluate the alleged structural defects and review the association’s or unit owner’s engineering report and repair cost estimate. Based on this evaluation, RCSD will make its own determination as to whether a covered “structural defect” exists and, if so, the reasonable cost of repairing it. If the RCSD division determines: (1) that the notice is timely made within the two year warranty period; and (2) that the defect(s) are “structural,” it will call upon the developer to perform the required repair work. If the developer fails to repair, RCSD will recommend to the Mayor’s Office, as beneficiary of the developer’s security, to access the funds from the developer’s security necessary to repair the structural defects and release those to the association or unit owner, as the case may be. RCSD expects the association or the unit owner to attempt to resolve a structural defect problem directly with the condominium developer before making a structural warranty security claim with the District of Columbia. Therefore, if there is sufficient time to do so within the applicable two (2) year warranty period, efforts to obtain repairs from the developer should be made and documented. If prior negotiation with the developer is not possible due to last minute discovery of structural defects, the notification of the claim should be made with RCSD simultaneously with reaching out to the developer regarding the structural defects. A condominium association or unit owner who makes a successful claim with RCSD is entitled to seek from the developer’s security “any costs that arise from the [developer’s] failure to satisfy” its obligation under the warranty against structural defects. DC Condo Act § 42-1903.16(e)(1). In that the statute broadly refers to “any costs,” persons making claims should provide RCSD with all reasonable costs incurred for reimbursement to the extent that secured monies are available, including the cost of repairing the structural defects. Not all of RCSD’s internal practices and procedures for handling structural defect warranty claims and seeking recovery against a developer’s security are set forth in RCSD’s written policies. Internal policy of government agencies can change from time to time and situation to situation. Therefore, a condominium association or unit owner with structural defects seeking to make a claim against the developer’s security should contact RCSD regarding any questions or issues that are not specifically addressed by its written policies and ask the head of the Division to set forth RCSD’s policy regarding such matters in writing so as to establish a written baseline for what is expected well before the two-year time period for filing a structural defect warranty claim expires. This documentation is important whenever issues arise that are not covered by RCSD’s written policies. Likewise, before relying on the description of RCSD’s practices and procedures as outlined herein, one should seek written confirmation directly from RCSD. Pursuing a breach of warranty claim for monetary damages in the District of Columbia Superior Court and making a claim with RCSD for access to the developer’s security are not mutually exclusive. Indeed, an association or unit owner may file suit in the Superior Court for breach of the structural warranty in lieu of making a claim with RCSD or may pursue claims both simultaneously. Under current policy, RCSD will not hear a claim against the developer’s security that is made outside the applicable two (2) year warranty period. Nonetheless, if the structural defect is not discovered until after the two (2) year warranty period, or if RCSD denies the claim because it was not timely filed within the applicable two (2) year warranty period, an association or unit owner can still pursue a legal claim for breach of the structural defects warranty in the Superior Court so long as the lawsuit is filed within the five (5) year statute of limitations. Such a lawsuit should include and be timed accordingly with all other applicable legal claims for construction defects (structural and non-structural), all of which have statute of limitations that may be shorter or longer than the five (5) year statute of limitations applicable to structural defect warranty. There are multiple different types of potential legal claims other than the statutory warranty against structural defects that condominium associations and their unit owner members can bring in the District of Columbia as a result of construction defects. For example, common-law implied warranties, breach of contract, negligent construction, negligent misrepresentation, strict liability, and violation of the Consumer Protection Procedures Act. These legal claims have some advantages that are not afforded by the DC warranty against structural defects. For example, they are not limited to “structural defects” as defined in the DC Condo Act § 42-1902.16(1), but can apply to any construction defects. Additionally, these claims may, in some cases, have a longer statute of limitations period than the warranty against structural defects. 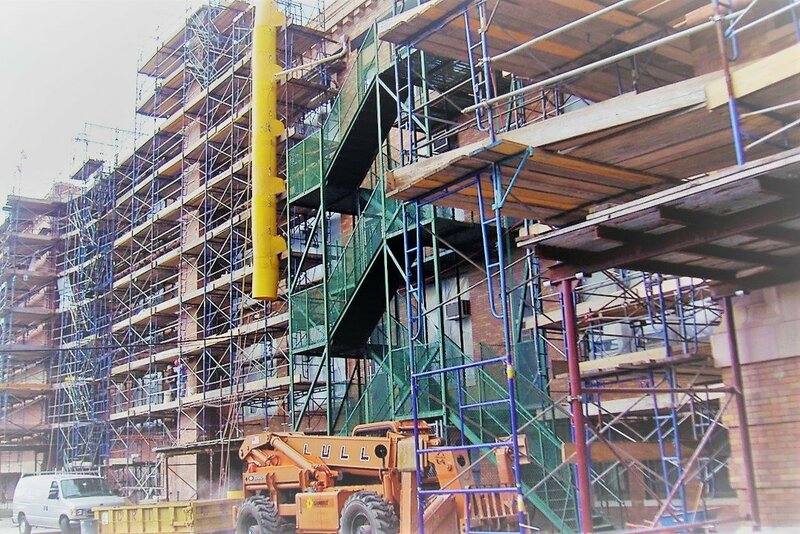 In that most condominium construction defect claims will involve both structural and non-structural defects, a multifaceted approach is warranted in these types of construction disputes. Representing condominiums in construction defect disputes is a highly complex area of law. A board of directors transitioning from developer control should seek free consultation early on with an experienced condominium construction defect attorney who can accurately advise the board: (1) when the statute of limitations expires as to the many different claims applicable to the condominium association and its unit owner members; (2) how to properly preserve those claims; (3) the importance of obtaining a timely transition deficiency report to identify construction defect before warranties and other legal rights expire; and (4) how to negotiate proper, comprehensive and long-lasting repairs. Too often, our firm is asked to review cases where general legal counsel, unfamiliar with the complexities of construction law, unknowingly fails to preserve important construction defect legal rights or otherwise takes actions that severely compromise those rights and the association’s ability to identify and have construction defects repaired by the condominium developer and other responsible parties. The term “developer” is used in this article to describe the person or entity that creates the condominium association. “Developer” is the terminology commonly used for this purpose. The District of Columbia Condominium Act, however, refers to a developer as a “declarant” because it is the person or entity that files the condominium declaration necessary to create a condominium.